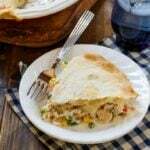 Easy Salmon Pot Pie is a seafood recreation of one of the most popular recipes on Spicy Southern Kitchen- Chicken Pot Pie. 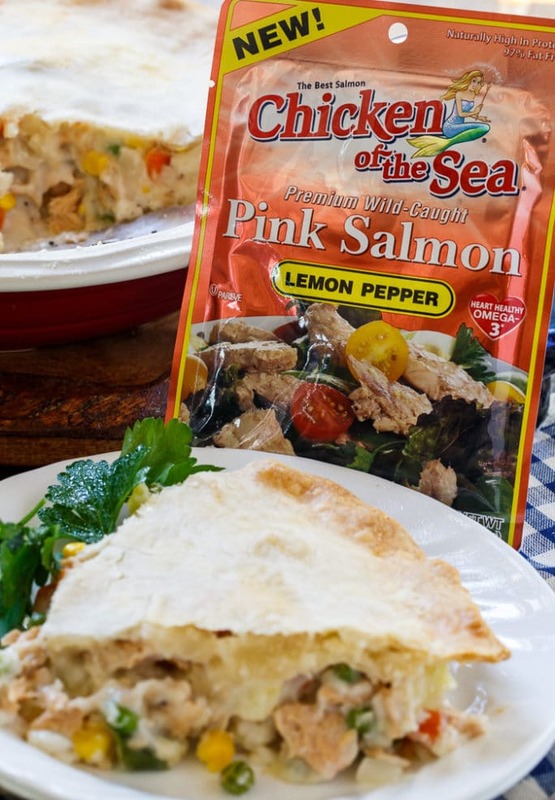 Made with Chicken of the Sea® Lemon Pepper Salmon, a refrigerated pie crust, and a thick and rich filling with lots of vegetables, Easy Salmon Pot Pie makes a wonderful family lunch or dinner. It’s filling enough to make a meal on its own or you can serve it with a green salad or fruit. 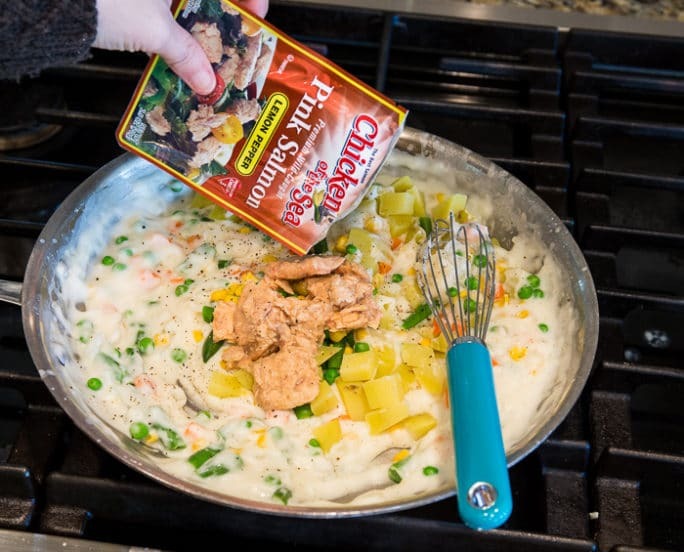 I love using Chicken of the Sea®’s flavored salmon pouches in recipes. Because there is already so much flavor and seasoning, you don’t need to add much to the recipe. They’ve done half the work for you! Chicken of the Sea®’s Salmon Pouches come in different flavors to add variety to your meals. I love using the Barbecue Salmon to make a quick and easy BBQ Salmon Tortilla Pizza for lunch. So tasty! The lemon and pepper flavors of the Lemon Pepper Salmon is perfect for a pot pie. 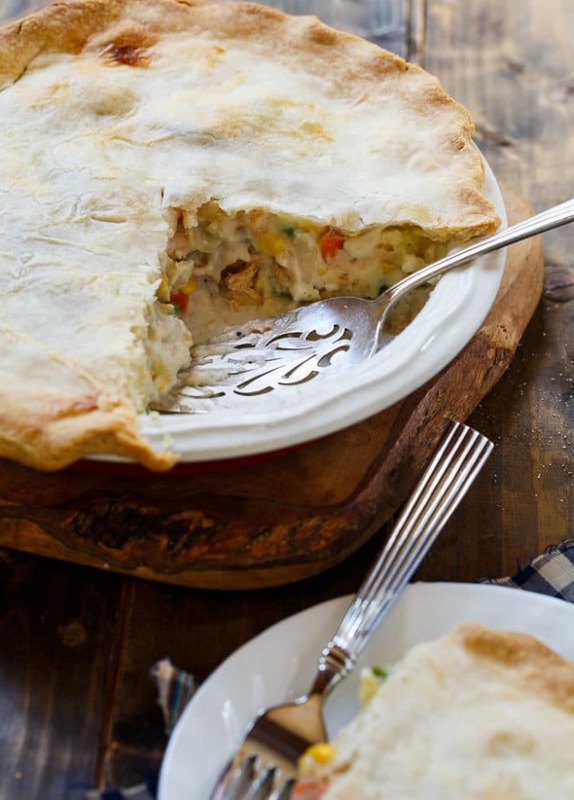 It really compliments the potatoes and the veggies in the filling and gives the pot pie a fresh taste. I love switching things up in the kitchen and using foods in new and unexpected ways. One of the easiest ways to get out of a cooking rut is to take a tried and true family favorite and use an unexpected ingredient in it. Just like in life itself, take yourself out of the comfort zone in the kitchen and there’s no telling how you will be rewarded. And to celebrate this, throughout the month of March, you can take the Sea the Possibilities Challenge on Chicken of the Sea®’s website. The theme for the month of March is “Live Large” and there will be three winners for the month ($1,000) plus a grand prize winner ($5,000) chosen from 9 monthly winners (January-March). Every person who enters the Seas the Possibility Challenge receives a $1.00 coupon from Chicken of the Sea®. To enter the Sea the Possibilities Challenge, just go > here < and submit a video, photo, or essay in one of three categories: In the Kitchen, Everyday, or Epic. 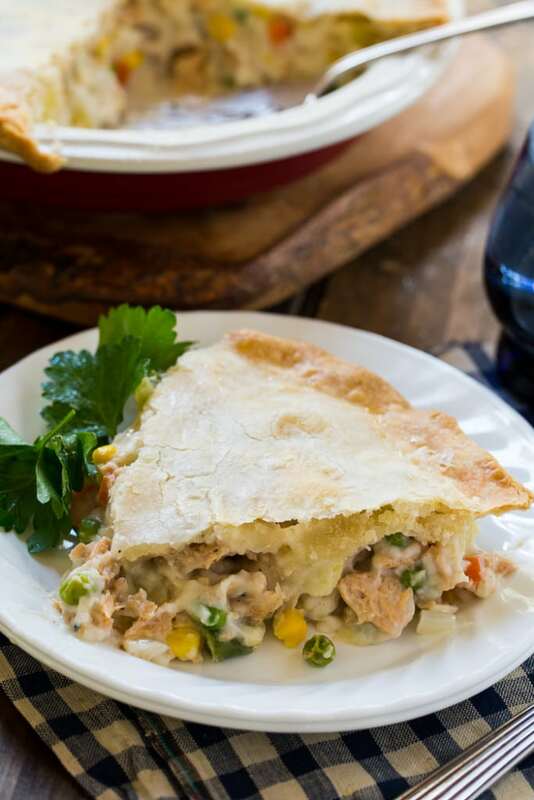 And be sure to give this Salmon Pot Pie a try and let me know how you like my seafood swap. I think you’ll find it an easy and inexpensive way to put a meal on the table that will make your whole family have a new appreciation for pot pie. The Lemon Pepper Salmon is so delicious! Salmon Pot Pie with carrots, potato, and peas and chunks of lemon pepper-flavored salmon in a buttery pie crust. Preheat oven to 425 degrees and lightly grease a 9-inch deep dish pie plate. Sprinkle flour over onions. Stir and cook for 1 minute. Gradually whisk in milk. Bring to a simmer and cook until thickened. Stir in salt, mixed vegetables, potato, and salmon. Remove from heat. Pour filling into pie plate and cover with refrigerated pie crust. Trim excess from edges and use your fingers to crimp the edges and seal. Brush egg white on the pie crust and cut 3 slits in the center to let steam escape. Place pie plate on a baking sheet and bake for 30 minutes or until pie crust is golden brown. Let cool slightly before slicing. Disclosure: I work as a brand Ambassador for Chicken of the Sea® and was compensated to write this post. All opinions are mine and I appreciate the opportunity to share products and foods I love using in the kitchen. This entry was posted in Dinner, Lunch, Meal and tagged pot pie, salmon, seafood. Bookmark the permalink. I couldn’t find lemon pepper salmon and used dilled salmon. One of the best meals I’ve EVER cooked, in42 years, according to my husband. Pot pie is one of my favorite comfort foods and I love that you used salmon! This looks so delicious, Christin! 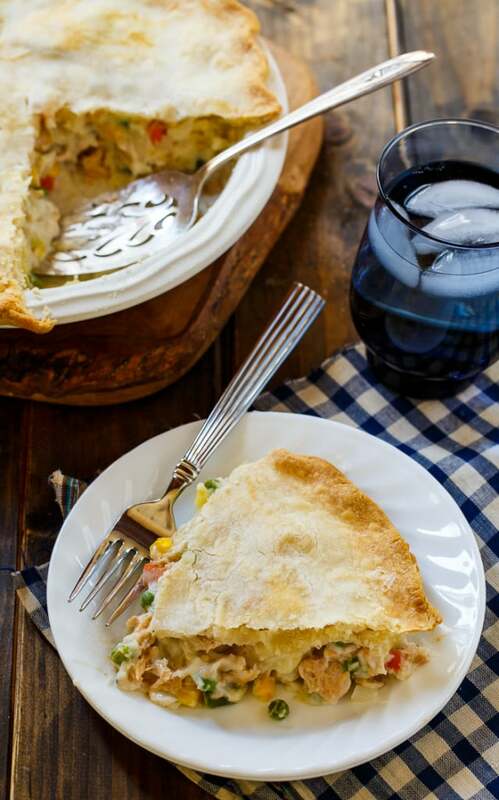 Pot pie with salmon is a great idea…and it looks amazing! I love the convenience of the salmon pouches. I made salmon all the time, I would have never thought about making a pot pie with it! This looks delicious, Christin, and I love the sound of those salmon packets! Oh I love chicken pot pie, but would have never thought to revamp it with salmon! So genius!! I absolutely adore salmon, so I’m willing to bet this version gives the original a run for its money! Looks seriously delicious! Cheers, friend! I love the idea of salmon pot pie! 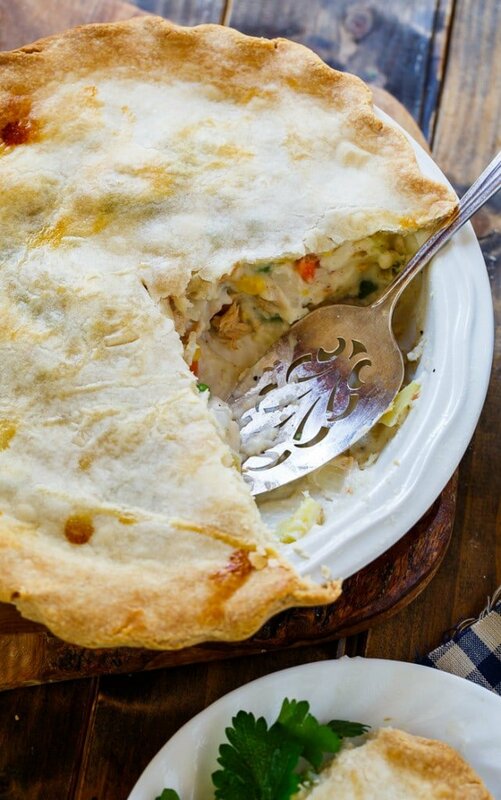 My husband and I make chicken pot pie, but we would both love this creative dish. Looks perfect! This was superb! For my frozen vegetables I went for fresh carrots, leeks, celery and added shallots too. I also added some shrimp. Highly recommended. Thanks for sharing! I love pot pie, but I’ve never tried a salmon version before! We love salmon in our house though, so this sounds perfect! Ok, I’ve had a lifelong obsession with pot pie. I swear I could eat it every day. So this really caught my eye. I never would have thought to make one with those salmon pouches. Genius!